Preventive Maintenance Garage Door Inspections in Seattle, WA Avoid Troubleshooting, Emergency Repairs & Even Premature Replacement! The garage door on your home gets used probably every single day, but how often do you take the time to inspect its condition and performance? Most of the time, the only attention we ever give our garage door is when something terribly wrong happens. Your garage door is just like every other part of your home, it requires regular maintenance checkups to ensure that it is working properly and nothing is beginning to break or wear down. 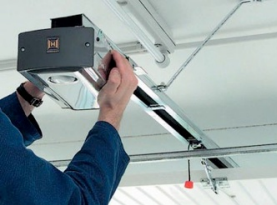 If you perform a thorough monthly inspection of your garage door, you will greatly reduce the chances of any major malfunction from occurring. There are a handful of signs that will strongly point to your garage door needing some type of repair, whether it is minor or major. Keep in mind that minor problems if left unattended will eventually turn into major ones. One of the most common signs that your garage door is in need of repair is when your garage door will not open or close. There are various reasons why this will happen; the first area you should investigate is the remote operators. Check the batteries to make sure they are not dead; this can be a quick and easy fix if all you need is a few new sets of batteries to replace in the remote operators. 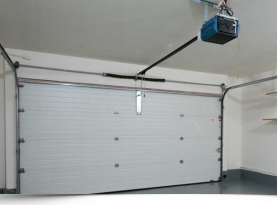 Make sure that there are no objects preventing your garage door from closing or opening properly. Many times a foreign object will be lodged in such a way that it is preventing your garage door from moving. In order to inspect the balance of your garage door, you must disconnect the opener from the door and operate it manually. When you pull the garage door to about half way by hand, leave it there, it should not move. However if the garage door goes back up by itself or falls shut by itself then there must be a problem with the tension spring or other parts of the door. Never attempt to check or repair the components on your own. 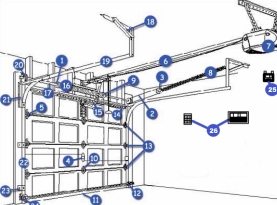 Many homeowners have been badly injured from garage door springs because they had no experience in dealing with these components and no idea what they were doing. Summit Garage Doors is skilled and experienced when it comes to getting your garage door repaired and functioning safely and smoothly. Old garage doors can increase energy bills, but if you replace your old garage door with a new garage door from Summit Garage Doors you can save money on your energy costs. 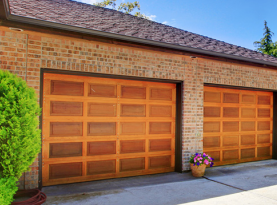 Newer garage door models are made to be more energy efficient. When you upgrade your door you will be able to save money in the long run. If you are experiencing difficulties with your garage door, contact Summit Garage Doors today. © 2016 Summit Garage Door Services. All rights reserved.